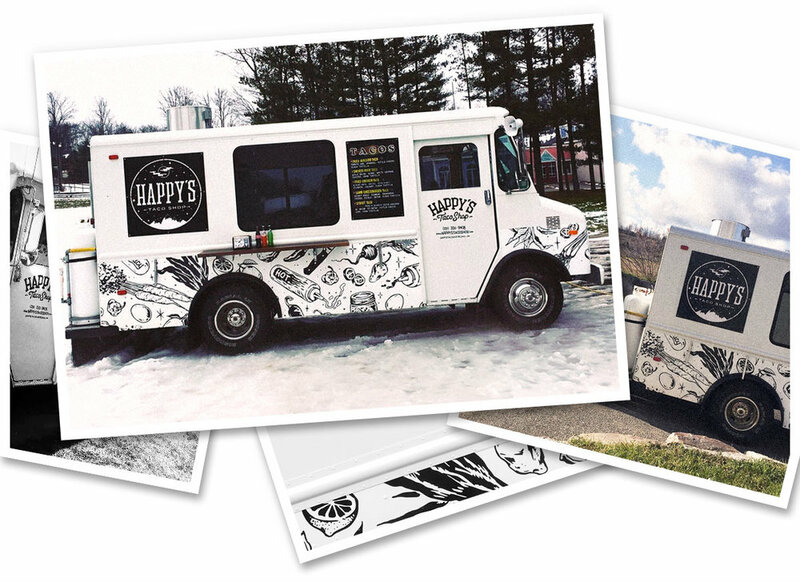 One of the hidden gems in the Northern Michigan food game, Happy's Taco Shop, is a food truck that serves up some of the most mind blowing taco combinations around. With popularity growing, they had purchased a second truck and it needed some graphics! Along with designing the truck graphics, I also reworked their branding to give it a more fun care free feel that pairs with the excitement and no holds barred approach they take to their taco making.